What is the SpielScheune der Geschichten? SpielScheune der Geschichten means “indoor playground of stories”. We are an indoor playground in Hamburg Neuallermöhe. People from more than 20 nations live in our district, and this makes us very happy. Together we shape our neighbourhood – with respect for each other and with plenty of fun. In the SpielScheune children can play and romp all year round. And this is unique: Every day we tell you stories, tales, legends and traditions, from different cultures, countries and religions, from old ages and present days. Stories are big fun, and they tell us a lot about ourselves and our neighbours. Our motto is: “Peace grows in the hearts of our children”. Children and grownups who had to flee from war and crises often faced terrible things in their home country and also during their long and hard journey to come here. Many have lost beloved ones, all have lost their life the way it used to be. Now they are facing the next big challenge: Finding their path in a strange and foreign country. We want to help healing the wounds. We want to help, so that confidence and trust can grow again. And the best way for the SpielScheune to do this is to offer lots of fun, playing and romping, coming together, and story telling. The SpielScheune is supported by a group called our Circle of Friends. These people invite families and groups from refugee accomodations to visit the SpielScheune for free. Our Circle of Friends collects donations which cover half of the entrance fee. The SpielScheune donates the other half. In general, your visit will be arranged during normal opening hours. Your visit needs prior arrangement with the SpielScheune management – see contact below. 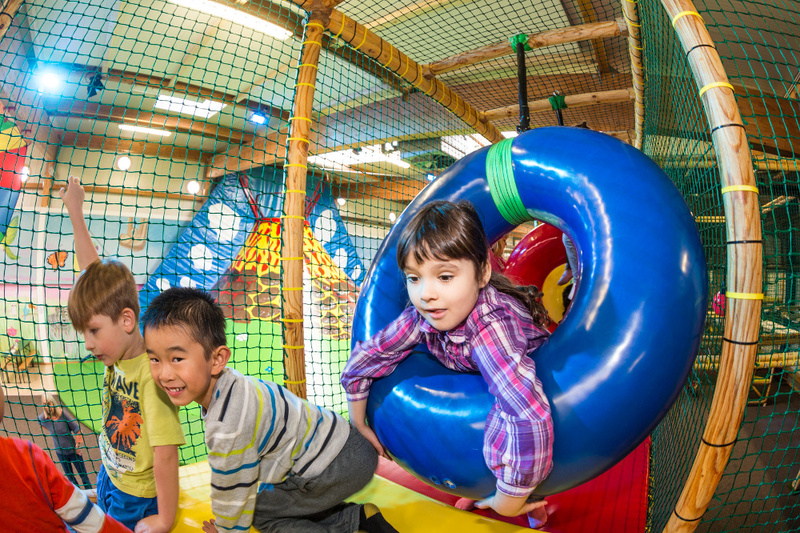 Our play areas and toys are well suited for kids aged 3-12. Some adults must be with the group and will be in charge of the children. If needed, the SpielScheune may provide volunteers or staff. If you com by public transport, don’t forget your HVV tickets! If needed, SpielScheune helpers can accompany you on your way to and back from the SpielScheune. Please bring socks! Our playground hall can only be entered with socks – no barefoot playing or shoes. On arrival, please deposit your shoes and jackets in the boxes: behind the entrance turn left, they are just behind the counter. Adults, please assist the children! Your adult group members are in charge of the playing children. Please pay attention to staff members and volunteers. They will tell you when it is departure time. There is still water and mugs for everyone. We will offer cake, cookies chocolate etc. if donated sweets are available. More beverages, sweets, ice cream and food can be bought at very reasonable prices. You may bring your own cold food and beverages. Please keep in mind that thermos jugs, warm food and food delivery services are not allowed. Please check out our House Rules for more information. Have you got a sweet tooth and a heart for kids? Donations of cakes or sweets are much appreciated! Also, voluntary work is most welcome. Quite often refugee accomodations and supporters are short of helpers. Therefore, it can be difficult to accompany a group of refugee children to and back from the SpielScheune. Would you like to assist, or help during the visit? Great – just send us a message! If you are looking for more opportunities for voluntary work, check out the homepage of Freiwilligen Zentrum Hamburg. Very important: Financial donations. Every donation, large and small, helps us to give the children a great time. We gladly give you a donation receipt you can use for your tax declaration. Please find our bank details here and – this is essential – specify the catchword “Flüchtlingskinder”. If you wish a receipt for your taxes, please indicate your address, too. Your contact person is Annette Ackermann . She will gladly answer your questions and arrange for your visit. Would you like to receive more information about our activities? Sign up for our newsletter or follow us on facebook – of course, these are all in German language.